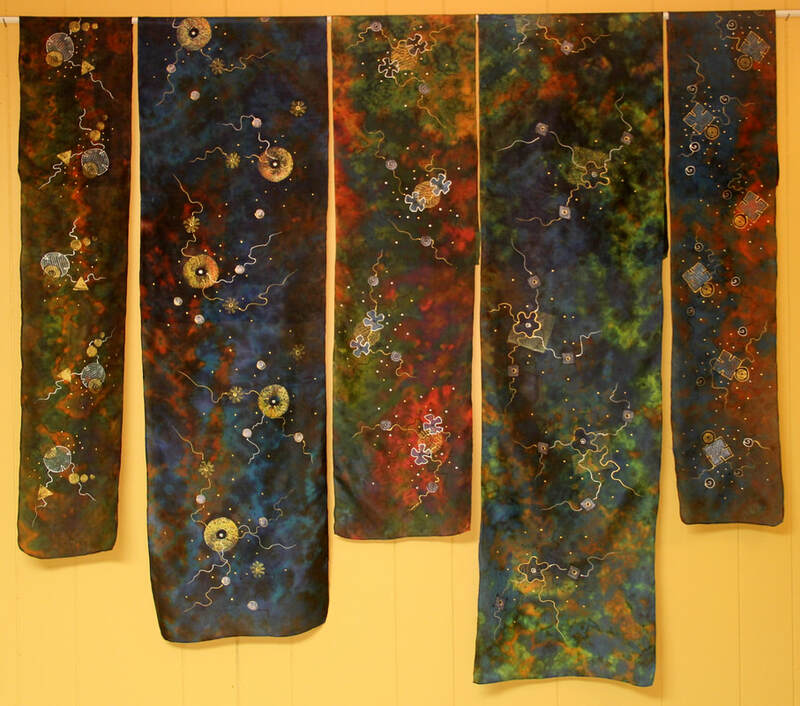 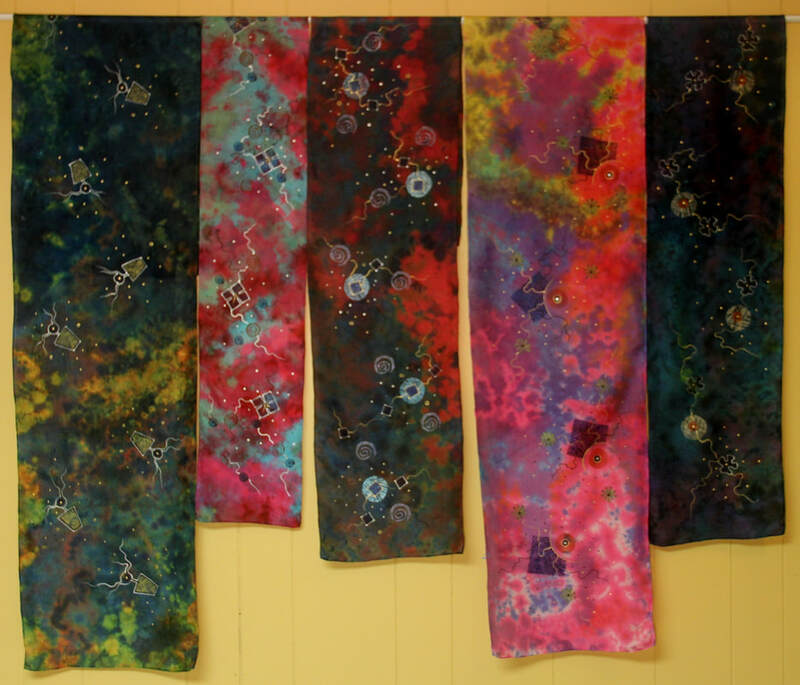 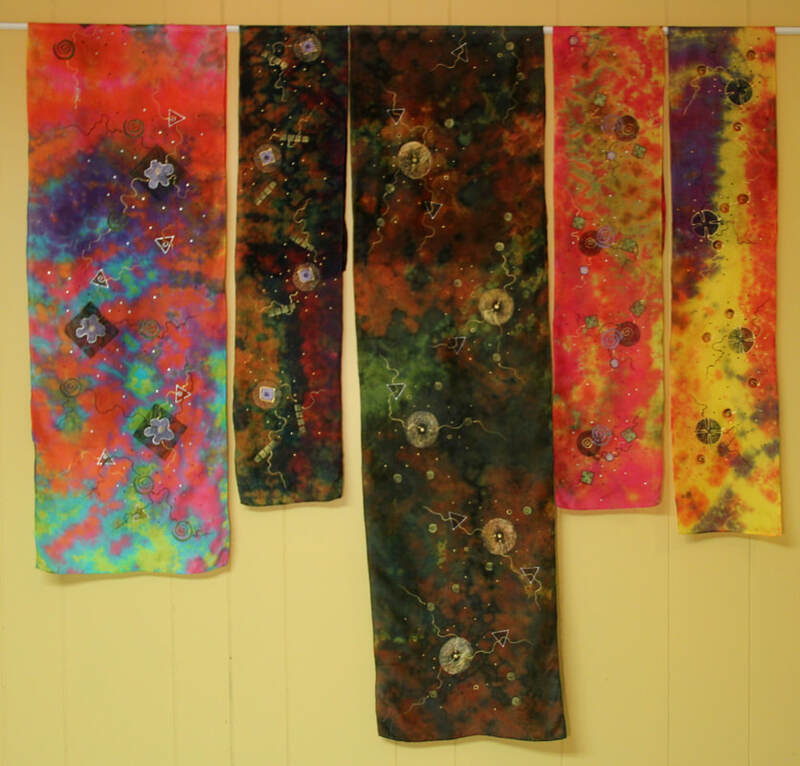 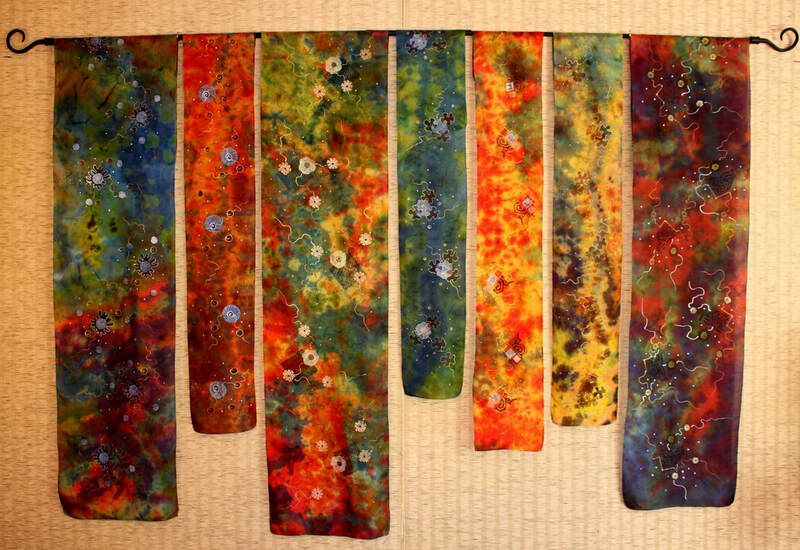 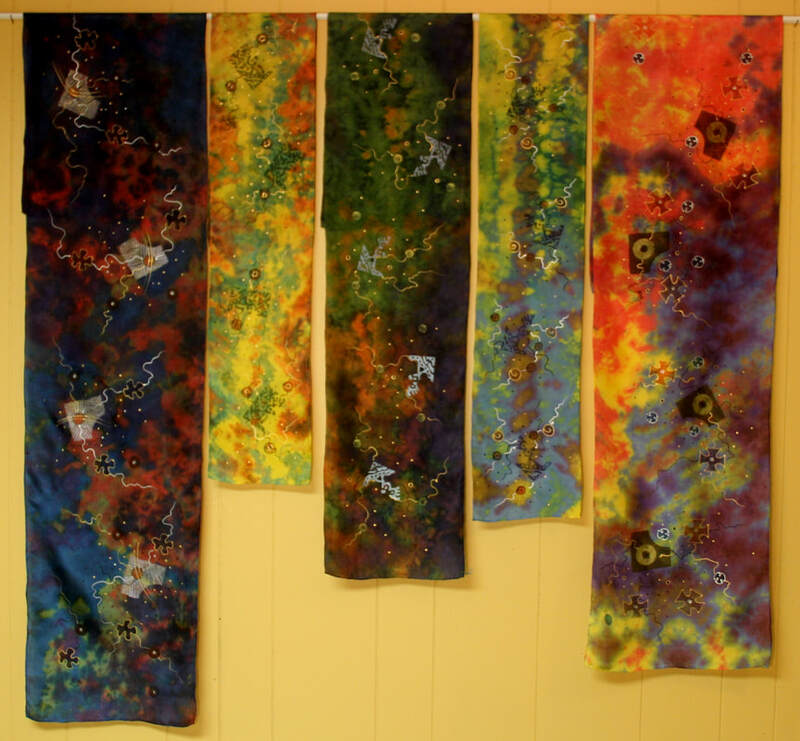 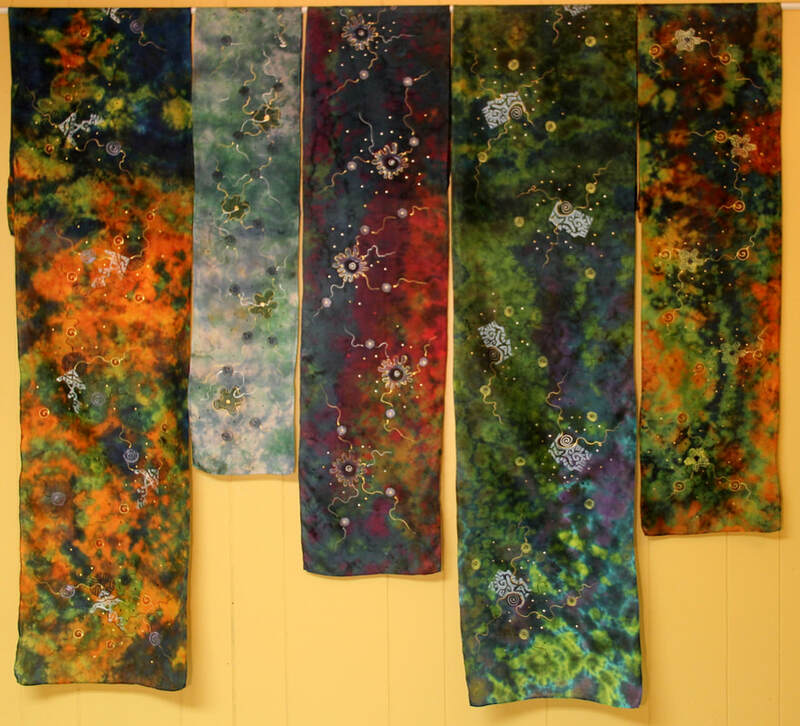 These are 100% silk scarves, all hand dyed and hand embellished, with permanent fabric dyes. 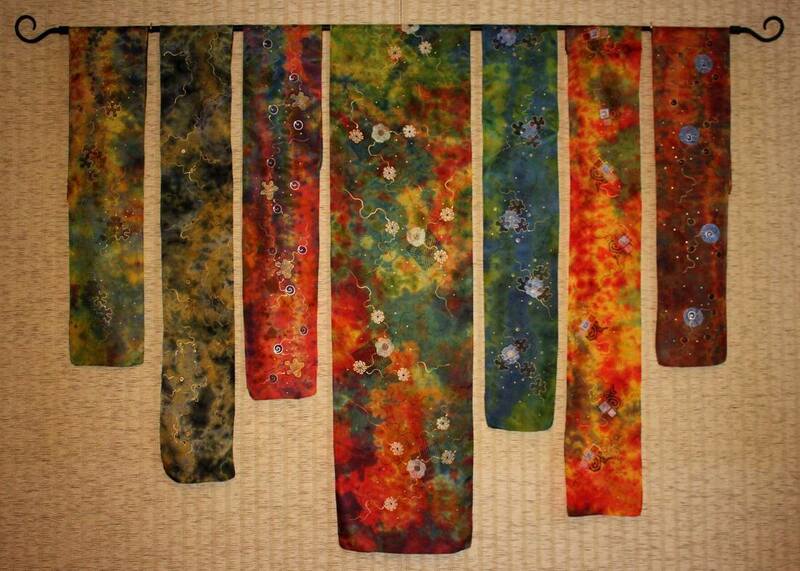 No two scarves are alike. 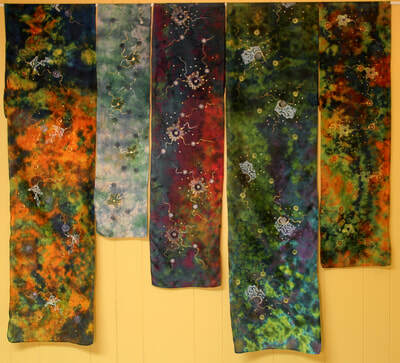 They come in 3 sizes : 9"x54", 11"x60" and 14"x72". 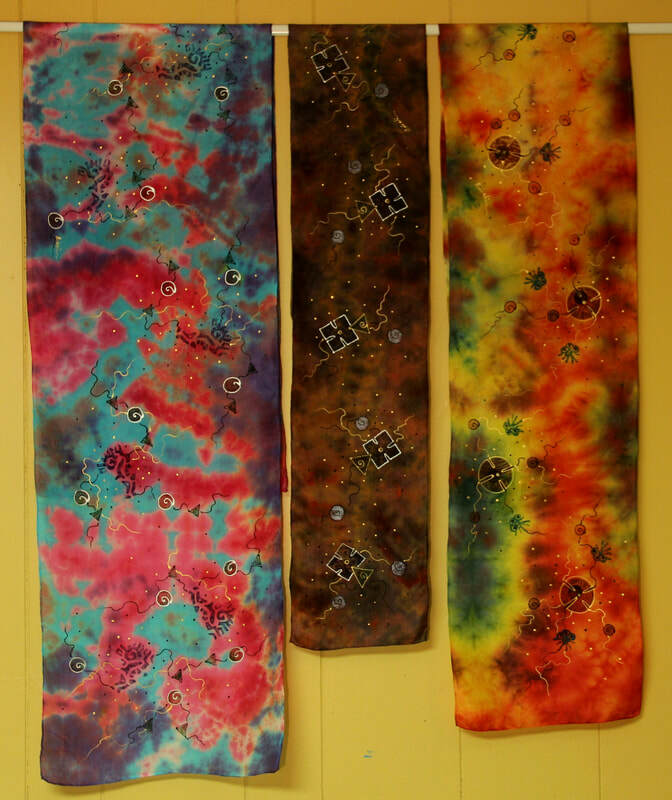 Please contact me via the contact form, if interested.